Who says industrial products can't be fun? Local artist and friend, Sally Adams is a well-known across Norfolk for her work as an artist and creator of fashion. Particularly notable of late is her work with Norwich Fashion week where she not only designed, but also modelled her work. Nicknamed ‘The Duckorator’ she recently created 18 giant rubber duck characters as part of Break Charity’s Grand Norwich Duck Race. With just one week to work on her design, Sally’s creation will be revealed on our stand, number 60 on Anniversary Avenue at the Norfolk Chamber of Commerce B2B Exhibition at Norwich City Football Club, 13th October 2016. Do pop along and let us know what you think. WOW! Sally really did rise to her Fashion Industry Challenge! And so here it is! Sally models her own suit which she tells us was inspired by the 80's, punk and Japanese asymmetry! 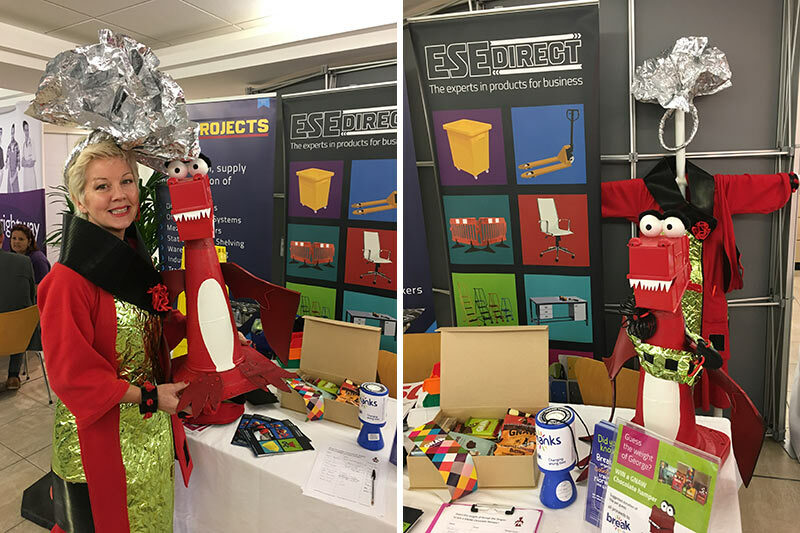 We were bowled over along with many onlookers at Norfolk Chamber of Commerce's B2B exhibition, at her wonderful originality and resourcefulness. The reveal was also witnessed by Patron of Break Charity and BT Sport presenter, Jake Humphrey who took time to get a picture with Sally and grinned as he grabbed a selfie with George. We think we have proved just how fabulous and exciting products for industry can be, all it takes is a sprinkle of imagination! Thank you to some of our suppliers for donating the products to make this project possible. 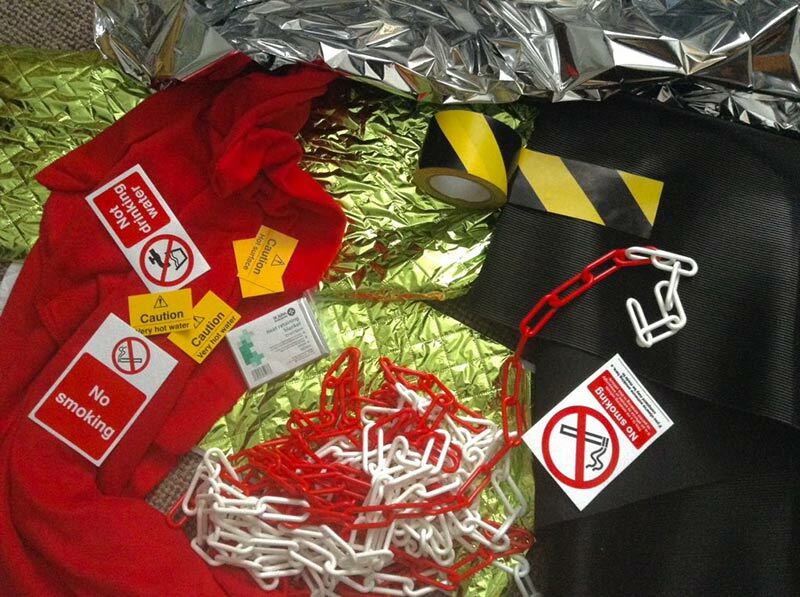 Rubber matting from Coba Europe, black and yellow hazard tape from Moravia and comfort blanket and foil blankets from St John Ambulance.